Vivo is about to launch one of its successful V series smartphone very soon and as you know its advertisement is viral everywhere. Yes, you would have seen adv statement like "3% unlocked" and more to come within may be few hours. So stay tuned for one of the best camera phone to release soon. Would you like to know when Vivo is launching V5S and its date? If yes, then find its date over here, Vivo will launch V5S on 27th Apr 2017 in India. If you wanted to know more technical specification and price about this gadget then find its detail over here. OS: Android 6.0 Marshmallow based on FunTouch OS 2.6. Camera feature: , Face Detection, HDR, Geo-tagging, Touch Focus, Digital Zoom, Video Recording etc. Display: 5.5-inch HD IPS LCD Capacitive touchscreen + Corning Gorilla Glass Scratch Resistant display. Resolution: 720 x 1280 pixels at a pixel density of 267 pixels per inch. Network / others: 4G LTE, Wi-Fi, Bluetooth, GPS, 3.5mm port, and a Micro-USB 2.0 port. Battery: it is powered by a 3000 mAh but some says the power after test seems better than 3000 mAh, so, we need it wait for it despite official announcement made by Vivo on this particular info. Note: You may find soon all about Vivo V5S review here including comparison between V5 Plus vs V5S devices. Till then stay tuned. Would you like to buy MSI system in Bangalore, India? Would you like to play Computer Games in Bangalore? If yes, find the detaill herein. MSI has joined hands with New Games n Gadgets in Bengaluru to establish a first exclusive store for its lover. MSI brand and system is well known and they had released many outstanding and expensive laptops / gadgets in the recent past. MSI is all about quality product, games, laptop, steel keyboard, Nahimic audio tech, Cooler boost tech etc. They also planning to launch GE62 Camo Squad limited edition soon over here. MSI products are built to the highest standards, gamers could enjoy ultimate gaming experience from it even for Virtual Reality (VR). MSI is coming with VR backpack, VR one. The VR is powered by the latest 7th Generation Intel® Core™ i7-7820HK processor and NVIDIA® extreme level GTX1060 graphics card to rock around. Now gamer in Bangalore can enjoy CoolerBoost 4, Steelseries Engine 3, KILLER network and DYNAUDIO etc. MSI store is located in Jayanagar, Bangalore. The store name is New Games n Gadgets. MSI initiative is to provide extraordinary gaming experience and service for all the gamers in Bengaluru, so they have launched its first exclusive store in Bangalore, on 17th Apr 2017. You may also visit for more detail at http://www.amazon.in/gp/product/B06XNMR3BT/ref=s9_acsd_al_bw_c_x_1_w and now experience Virtual Reality Gaming with MSI Latest VR Ready Product at MSI Exclusive Store in Bangalore, India. Hope you haven't forgot the iPhone 7 releases and still carrying it around whether it could be of White or Black color, it doesn't matter as long as you are enjoying with it. 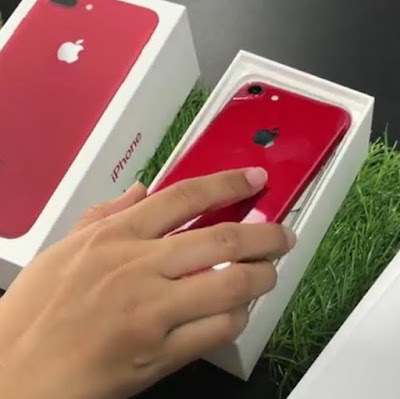 Now, Apple has launched iPhone 7 in Red color, you would have seen its adv all around. If not, you can see iPhone 7 Red color over here. You may also see iPhone 7 and 7 Plus Smartphone price and design to get more detail. If you are interested to see other various gadgets or Smartphones detail then kindly visit over here. Are you a music lover? Sound blaster? Would you like to buy a latest Speaker for the music and sound around? If yes, find the latest music products in the market. Creative has announced its latest gadget called Nuno and Nuno Micro: Designer lifestyle Portable Fabric BluetoothR Speakers. It comprises Nuno and the even more compact palm-sized Nuno Micro. With the Creative Nuno series, simplicity is the new luxury. What is Nuno? Would you like to know about it? Here you go. Nuno means 'woven cloth' in the Japanese language. So, Creative has brought the speakers with wrapped in sheaths of woven fabric, resulting in a signature rustic minimalist look. Now, you can carry to your office, trip, business area, dance studio, or the park, or anywhere at home, the Creative Nuno series delivers loud impressive audio with the wireless convenience of Bluetooth. Enjoy high-quality audio out loud anywhere with a speaker that looks like a piece of designer art. It has built with doubles as a speakerphone and considering the high-quality audio out loud anywhere. Creative is a worldwide leader in digital entertainment products like premium wireless speakers, wireless headphones, and powerful audiophile-grade amplifiers and digital audio converters. It is also famous for Sound Blaster® sound cards and for launching the multimedia revolution. You may visit its website (www.creative.com) for more detail and offers. Hope you remember the release of Vivo V5 Plus smartphone, last January 2017. After the success of Vivo V5 Smartphone that was released on November 2016, they then released the V5 Plus device after the two months gap with an additional awesome features in it including first to introduce with 20MP dual camera (20MP+8MP) for perfect selfie as well. You can see V5 Plus review too for more detail. The end users for V5 series grown enormously and resulted the huge success as well. Vivo also released other series like Y55s smartphone and on to their budget customers. Vivo launched Matte black V5Plus smartphone with limited edition on 4th Apr 2017. This phone has VIVOIPL sport logo engraved at the back of the phone. The VIVOIPL limited edition was announced to mark the ten years of Indian Premiere League, country’s biggest sporting extravaganza. If you would like to know more detail about the latest Vivo V5 Plus with Matte black smartphone then find its detail over here. Vivo V5 Plus price: It is tagged at Rs. 25,990/=* (Vivo partner with Flipkart thus you can buy it from FK too). Would you like to buy a cheap and best smartphone in India right away? If your answer is yes, you may then blindly go with Lephone W7 smartphone that was launched on April 11th, 2017. The lephone smartphone is well known brand in the market (and not to be confused vs LeEco), Lephone has released W7 device with a medium specs in a lowest budget to carry around. The main feature of the lephone W7 is all about 8GB of inbuilt storage, 5MP AF rear camera with LED flash and is blasting with 22 different regional languages. What else one can expect at the moment in a under 5k budget smartphone. Lephone W7, a new entrant to the entry-level 4G VoLTE budget Smartphone supporting 22 different languages in India. lephone W7 comes with 1.3GHz Quad core processor paired with 1GB RAM, and 8GB of inbuilt storage which can be further expanded up to 32GB using a microSD card. Hope this helps user to enjoy the device in a minimum investment for a long duration. Other than this, this gadget runs on Android 6.0 Marshmallow powered by “360” OS. In addition, W7 built with a 2MP front snapper for selfies and video calling with 5MP AF rear-camera including an LED flash, so, it is like a 'Paisa Vasool' offer definitely. You may check W7 price and technical specification detail over here. You will find W7 hands-on review very soon. Language: Hindi, Assamese, Punjabi, Bengali, Gujrati, Kannada, Malyalam, Marathi, Tamil, Nepali, Bodo, Telugu, Urdu, Sindhi, Oriya, Sanskrit, Kashmiri, Dogri, Maithili, Santhali, Konkani and Manipuri. Lephone is a Multinational Mobile Company which was started in China in 2005 by Mr. Huang Mingquan. It has become one of China’s leading mobile companies during the last decade. Lephone is currently among the top ten biggest smartphone companies in China. Lephone is a brand which is close to the heart of the youth, and celebrates the vibrancies of life and empowerment. 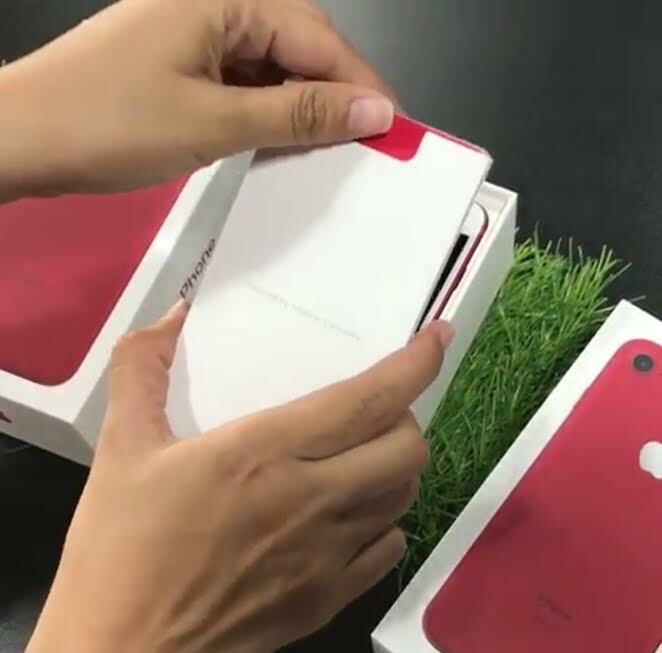 The company hires high-tech employees in R & D, marketing and manufacturing mobile devices, including mobile phone and accessories, IPTV Setup Box and power bank to name a few. Are you searching for information on Solar Energy related one, online? If so, you are in the right page to get Solar Expo detail over here. Renewx from UBM group has brought some innovative steps toward Solar or Power related one. The exhibition was held in Hyderabad, HiTex premises, near HiTech city and it was on 7th and 8th April 2017 (2 days conference). The two days innovative expo of Solar brought many exhibitors and visitors to know each among in Hyderabad. There were many Solar brands that made a stall, displayed and demonstrated their latest Solar products for residential and commercial purpose. There were many foreign brands too over there and showcased their innovative and latest Solar products which mainly focused on solar, protection, power saving and maximum benefit out of it. This expo is definitely helped many individual, commercial companies and the Solar vendors around. The expo was like almost crowded after the VIP inauguration and the same continued for day two as well. These were all about Solar or Power Technology trends across. There were different types of Solar products around viz. Rooftop Solar in different designs from different brands, Utility Scale Solar, Power Station, On-grid application, Solar Lighting system, Parbolic troughs, Solar Wind, Digital invertor, Sapphire series, Ruby series, and on. There were well known Solar brands participated, viz. Oriano, L&T, Linuo Power, True Power, Redington, Lightway, Solar Quarter, Scorpious Tracker, Insolation Energy and on. It was South India's most influential Renewable Energy Forum where over 100 exhibitors participated, 5000+ industry peers reached, mass media and tech savvy attended to explore the possibilities. Intel India conducted an event on 4th Apr 2017, its first AI (Artificial Intelligence) Day where the expert, government, the industry, and the academia gathered to discuss the potential of accelerating the AI revolution in the country. If you are looking for more detail on AI then find its detail over here. As you know, the leading IT companies have already begun thinking, talking and launching AI platforms, thus, Intel too on this to enrich the global development on AI. Nowadays you can see or experience IoT everywhere, so, mass technology, mass data, mass users can change the user experience through AI as well. AI is the fastest growing workload in the data center, growing at two times the overall computing market. By 2020, the industry expects more servers running data analytics than any other workload, and analytics predictors will be built into every application. Intel India announces initiatives to boost adoption of Artificial Intelligence with the following key points. You would have seen or experienced from Intel P2 to Intel i7 processor devices etc., now the upcoming is beyond than them which will work also for AI. Yes, you will soon experience the Intel Xeon Processors (either Intel Xeon Phi or just Xeon) beside Intel Nervana Platform that provides world class learning software tools that enable data scientists to "compress the innovation cycle", develop and deploy high accuracy custom learning solution. You will also experience Intel Saffron Technology and Intel RealSense (cameras seeing in 3D) Technology and Movidius Myriad 2 vision processors as the "visual cortex" whereas Intel Processors being the "brain". All combined technology toward AI. They also mainly develop Intel DAAL (Data Analytics Acceleration Library) and Intel MKL (Math Kernel Library) for better result on ready-to-use mass data and algorithms. These tech innovation plays very important role on AI. Intel is working on its global AI strategy and demonstrated how it works with the ecosystem in India to improve solution. Intel has announced developer community where students, researchers and developers will be engaged. The education program proposed around 15,000 scientists, developers, analysts and engineers on key AI technologies including deep learning and Machine learning. Intel will conduct 60 programs across the year, ranging from workshops, user group, roadshows and senior technology leader roundtables. Other than this, some key industries like Calligo Technologies, Hewlett Packard Enterprise, Julia Computing and Wipro Ltd. etc. will work together on this.